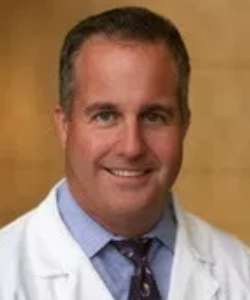 Dr. Kuyper is a board certified Obstetrician/Gynecologist who was raised in Southern California. He completed his undergraduate education from the University of California, San Diego where he graduated with honors and received his medical education from the University of California, San Diego School of Medicine. Dr. Kuyper completed his residency in Obstetrics and Gynecology at Santa Clara Valley Medical Center in San Jose California where he also served as Chief Resident for his last year of training. He joined Mid-City OB-GYN, P.C. in 2000. Dr. Kuyper is dedicated to a lifetime of continuing medical education. He has received specialized training in Robotic Surgery to provide minimally invasive surgery to his patients. He also offers other minimally invasive procedures in the office for permanent birth control and endometrial ablations. In addition to routine obstetrics and gynecology he provides specialized care for pelvic reconstruction and urinary incontinence.